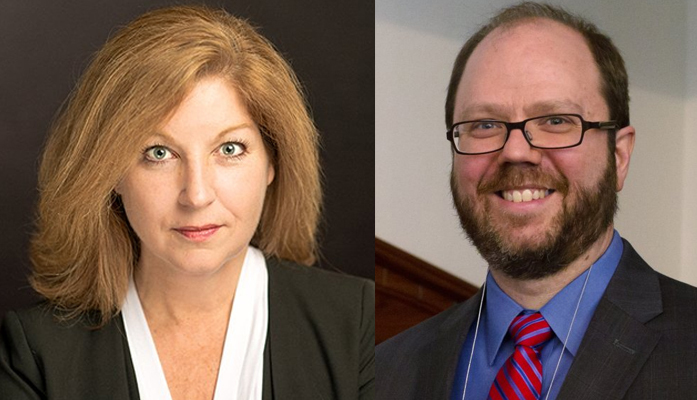 Cindy M. Lott, Esq., Academic Director of the Master of Science in Nonprofit Management program at Columbia University’s School of Professional Studies, and Dr. Greg Witkowski, previously an Associate Professor at Indiana University, both have been named Senior Lecturers in Discipline to the program. Lott, a 1993 graduate of the Yale Law School, has 25 years of legal experience in the governmental, nonprofit, and corporate sectors and has worked specifically with state charities regulators on regulatory policy in the charitable sector for over a decade. Prior to her joining the School of Professional Studies, she was executive director of the National State Attorneys General program at Columbia Law School. Among other regulatory and policy related roles she has held, she is a former Chief Counsel in a state attorney’s general office and served as one of four Exempt Organizations experts on the IRS Advisory Committee on Taxation from 2015–2018. She serves as an inaugural Policy Fellow at Independent Sector, the world’s largest membership organization for nonprofits, and also as a Senior Fellow at the Urban Institute, a think tank in Washington, D.C., at the Center on Nonprofits and Philanthropy, where she co-directs the Regulation of Nonprofits and Philanthropy project. In addition to overseeing the M.S. program, Lott teaches Ethics, Governance, The Role & Unique Nature of the Nonprofit Sector, and Nonprofits & Government. Dr. Witkowski is a leading researcher in applying historical experience to contemporary practice of philanthropy and nonprofit organizations. His research focuses on the two largest nonprofit sectors in the world, the United States and Germany. His scholarship has tackled issues such as social change efforts through mass mobilizations, philanthropic giving as a means of supporting civil society, and portrayals of need in fundraising. Dr. Witkowski has a Ph.D. in History from the University at Buffalo and fifteen years of experience in curricular design. He helped found the world’s first school focused on the best practice and meaning of philanthropy in society. He has been a scholar in residence at the Rockefeller Archive Center, a Fulbright Scholar, and an American Swiss Foundation Young Leader. He served as a member of the Learning by Giving Foundation Academic Advisory Board for its first four years, is a Board Member of the Benjamin Cohen Center for Peace and Conflict Studies, and is the chair of the humanities interest group in ARNOVA, the largest organization of nonprofit scholars. Learn more about the M.S. in Nonprofit Management program at Columbia University’s School of Professional Studies.